So, where have I been? We’ve simply been overwhelmed with life – least of all because my daughter was born late last year. And then a few weeks later, we moved to a new apartment. So it’s been hectic, to say the least. 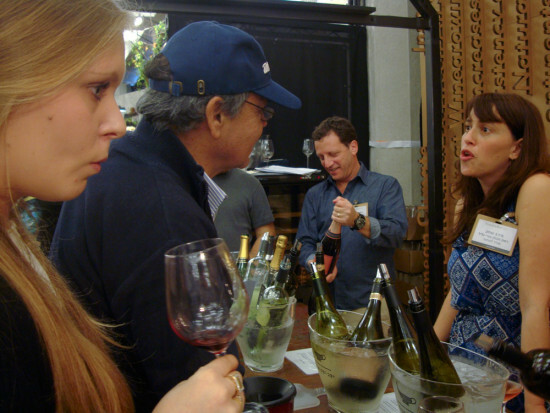 In late January, I attended Sommelier 2015, one of Israel’s main wine expos for the food industry and one of my favorite events. 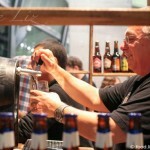 The expo is an opportunity for several dozen wineries, from small, commercial boutique wineries to the country’s largest, to show off their wares and attract buyers – as well as press attention – for their latest products. Without fail, every year I’ve discovered new wines and other products I really, really like. 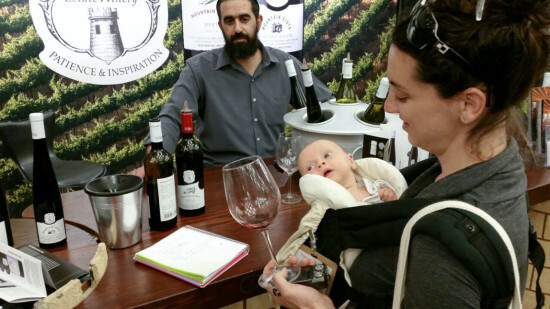 Not surprisingly, showing up with a 1-month-old baby is a really good way to get attention at a wine expo. (OK, it’s a good way to get attention pretty much anywhere. Photo courtesy of the lovely folks at Tura winery) Lots of predictable jokes about what the baby’s drinking. Everyone is in a good mood, because hey, it’s a wine expo. My favorite new discovery from this year’s expo was Eyal Boutique Winery (top photo), a relatively small winery at Givat Nili, near Binyamina about 45 minutes north of Tel Aviv. Owner Eyal Ochayon describes the winery as a hobby – albeit one that produces 15,000 bottles a year from the winery’s very own vineyards. 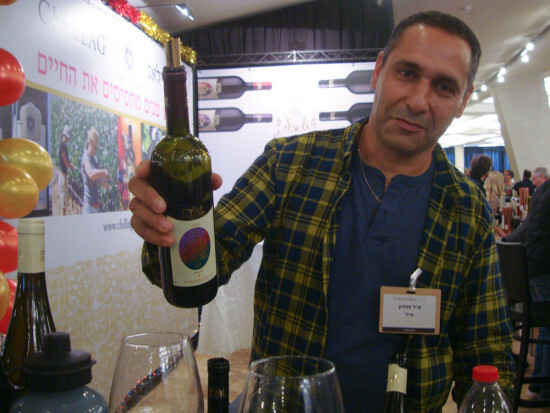 Ochayon says his winery has been commercial since 2006, and kosher since 2009. Since then, Ochayon’s wines have won several awards at the international Terra Vino competition. Notable wines I tried included the Blanco 2012, a white blend of chardonnay and emerald riesling with a lightly sweet, woody scent and a mild spicy, oaky finish. Bottles retail for around 75 shekels. My personal favorite was probably the Shani 2012, another blend, this one red – Cabernet Sauvignon, Merlot and Shiraz, a dry wine with scents of wood, vanilla and fruit. Bottles retail for about 85 shekels. Another wine that stood out was Chillag’s Bambino Cabernet Sauvignon 2011. 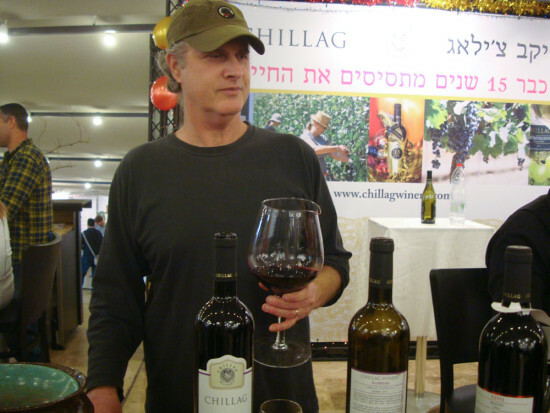 Chillag, another award-winning boutique winery, in Yehud in central Israel, has the distinction of being one of Israel’s few wineries run by a woman (and also earned a mention in my roundup of wines last year). Part of what I like about this deep purple wine is that it’s part of the winery’s more “basic” series – making it more accessible in terms of price – yet it still offers a mouthful of complex flavors – rich, fruity and oaky, with mild sweetness. Bottles are not sold in stores, only in restaurants, but are available at the winery itself, for 55 shekels. The grapes come from the Ben Zimra vineyard in the Galilee. Beyond specific wines, one project that caught my attention was iMed. OK, the name is a bit of a cliche, but the idea is interesting. The project, by the Arza winery, founded in the Old City of Jerusalem in 1847, seeks to bring different Mediterranean style grapes and winemaking styles to Israel. Many wineries here have been branching out over the past few years beyond the most common grape varieties (Cabernet Sauvignon, Merlot, Chardonnay and and a few others), but Arza is offering some varieties I haven’t seen at too many other local wineries, if at all. 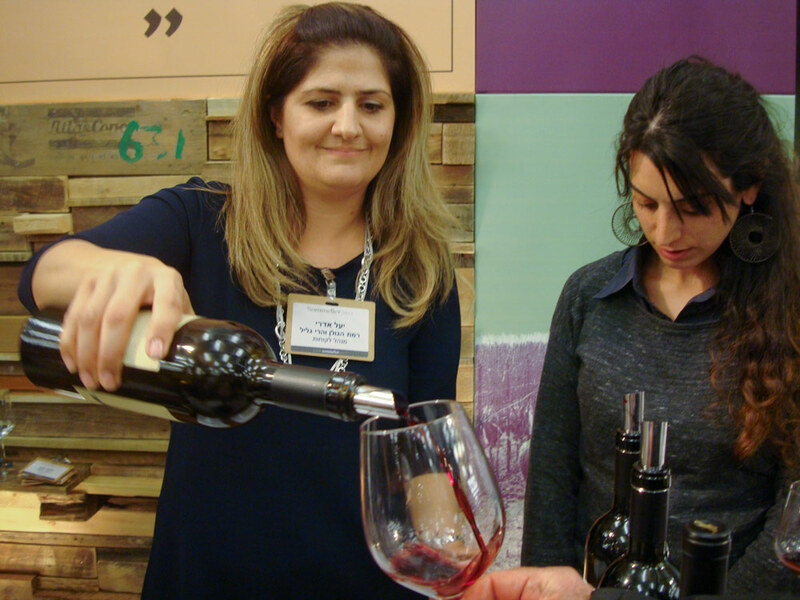 iMed’s wines include varieties made from Argaman, Granache and Mourverdre grapes, all of which are rare in Israel. The winery also has a Tempranillo wine. 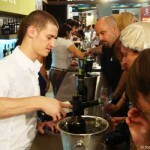 The wines are being sold through food establishments, not in stores. So, Passover is coming – what are you planning to drink? Will you be trying any of these wines? *Note – intrepid readers may note that the dates and production figures for the various wineries mentioned above are different from those listed in other places, including the wineries’ own brochures. The above figures were given to me directly by winery representatives, and presumably are the most up-to-date. 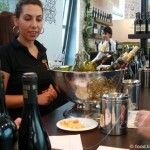 Six Israeli white wines I like (and one red) Wines (and other things) I liked at the 2010 expo What makes a beer Israeli? 3 Responses to "New Israeli wine recommendations (and new beginnings)"
I’m so happy you are back, even though it’s nice that you put your “real life” first. Love you being back: do stay!! Love that inquisitive look on your gorgeous bub’s face: we’ll watch her grow!! Don’t know anything about your local wine industry but shall file for any friend going ‘that’ way!! !